San Francisco-based blockchain startup Harbor has launched an institutional-grade platform for the tokenization of private investments, such as real estate offerings and investment funds. The platform is designed to transform private securities into “a more accessible and liquid form of private investment,” the company states in a blog post. The first offering on the Harbor platform is a tokenized REIT from Convexity Properties — a DRW Company, representing $20 million of private equity in The Hub at Columbia, a premier off-campus, student housing high-rise serving the University of South Carolina. A total of 955 shares will be tokenized in a ratio of one share per token, with each token priced at $21,000. Tokenization is the process of converting rights to an asset into a digital token on a blockchain. For private securities, the technology transition to tokens will enable new capabilities while keeping ownership structures the same as traditional securities. To put it in other words, tokenizing something means making the storage and management of an asset digitally represented by tokens. When someone is tokenizing an asset or security, they aren’t doing anything to the asset itself, they’re just changing the way the ownership of that asset is managed. “We’re at the beginning of the tokenization of everything,” Circle co-founder and CEO Jeremy Allaire said at a MoneyConf in Dublin in June this year. The CEO outlined a vision of the tokenized global economy and society, in which “every form of value storage and public record becomes a crypto-token” that has free-floating market value and can be traded on global digital exchanges. With crypto-assets, he said, you can “tokenize your house, car or art,” and establish open global financial relationships around any physical property. This Fall, Circle has inked a deal to acquire SeedInvest, an equity crowdfunding startup that helps privately-held small businesses raise capital from individual accredited and retail investors, Bloomberg reports. According to Forbes article, 2017 was the year of the utility token, 2018 was the year of realizing the mistake of the utility token, and 2019 will be the year for tokenized securities. “It may be hard to believe now, but the securitization of non-liquid assets – venture capital funds, real estate, precious metals, currency, art, sports teams – is likely to be one of the biggest stories of 2019 and beyond,” Rohit Kulkarni writes in another article published by Forbes. According to the author, tokenization of traditional assets can provide a wide range of benefits, including greater liquidity to asset owners, 24/7 markets, lower transactions costs, fractional ownership, automated and quicker settlement, improved compliance checks, and a broader slate of possibilities with smart security contracts. He points to seven types of assets that are likely to be tokenized - venture capital funds; precious metals; real estate; rare art and luxury cars; commodities; sports teams, athletes, and celebrities; flat currencies. 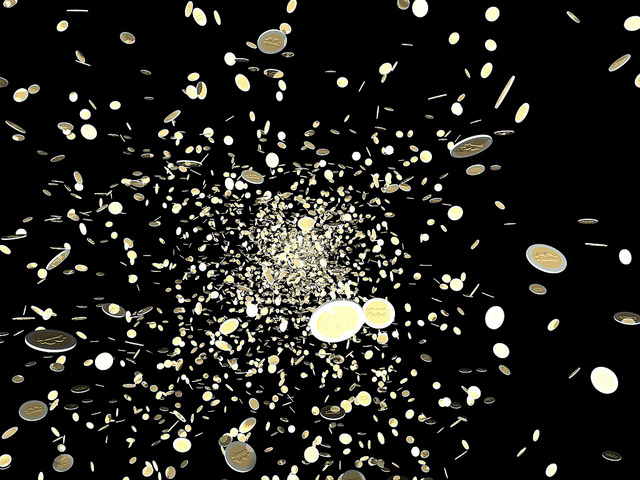 While many predict a boom of tokenization in 2019, a number of examples are already there. As such, the CEDEX is a certified diamond exchange based on blockchain that allows diamonds to be traded like commodities from any other financial asset class. The platform enables diamond traders, retailers, suppliers, and private citizens to sell their inventory to anyone across the globe in an environment that is safe, secure and fully transparent, providing everyone the chance to easily liquidate their diamond holdings. At the same time, CEDEX also provides an opportunity for holders of various cryptocurrencies to convert their portfolio into a tangible, fungible asset. Platforms such as Alt.Estate, Atlant, Blocksquare, and Deedcoin, have been working on ways to tokenize commercial and residential real estate. Alt.Estate allows owners to tokenize real estate assets so that they can be sold in fractions. Therefore, the ability to buy a 1/1,000 fraction of a property makes it accessible to anyone. Furthermore, it allows individuals and institutions to buy or sell fractions of properties without borders. Blocksquare offers real estate businesses a real estate tokenization system with all required tools and modules for creation, issuance, sale, distribution, management, tracking and trade of tokenized properties. Its blockchain-based system enables established real estate companies to increase value and liquidity of real estate assets through tokenization. Meanwhile, BitCar is a blockchain-based platform that allows fractional ownership in collectible exotic cars. Using a dual token economy, BitCar's asset token (called CAR), is backed up by the physical, hard-metal exotic cars and pegged to their USD value- acting as a "stable coin". Users can buy and trade pieces of ownership in exotic cars without an intermediary like dealers. Verified agents source, acquire, store, and display these vehicles. Globatalent is the first sports crypto exchange where anyone can tokenize, trade and support his/her favorite clubs and sports idols. Fans and investors alike could invest in young players, provide financial support to continue their careers in exchange for some future return. Clubs could similarly sell rights to future profits, so they can raise the capital needed to sign players and thus boost the team’s value.